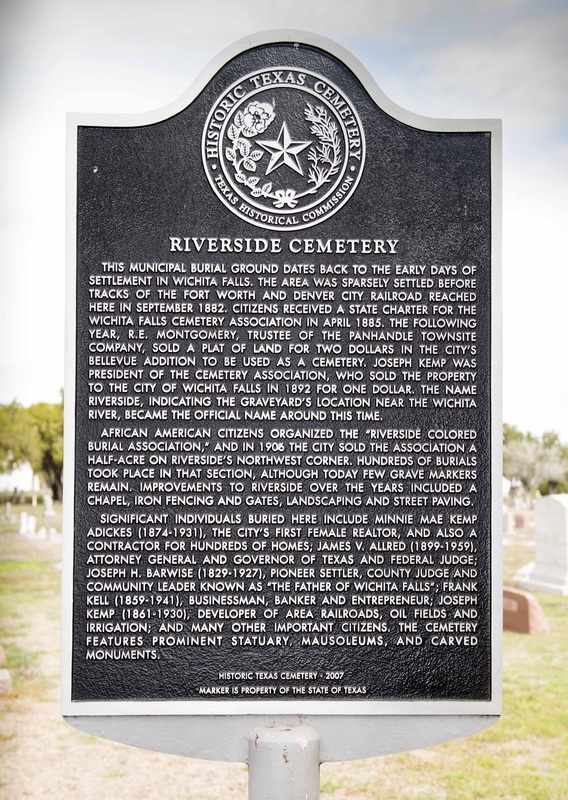 The marker is located inside the gates of the cemetery, 1810 Fifth street, 76301. GPS coordinates: 33-degrees 54' 35.9", -98-degrees 30'24.5"
Riverside, indicating the graveyard's location near the Wichita River, became the official name around this time. chapel, iron fencing and gates, landscaping and street paving.